Chanukah (Hanukkah) / Christmas – Facts or Fabels? The above is a link for those who do not know anything about Hanukkah; its origins/ history, as well as its links to Yeshua (Jesus). Then came Hanukkah in Yerushalayim (Jerusalem). It was winter, and Yeshua was walking around inside the Temple area, in Shlomo’s (Solomons) Colonnade. There’s always a great debate about which is most desired by God for His people to Celebrate; Hanukkah or Christmas? I hope to dispel any need for debate here. With facts (truth)…without much personal opinion. Its important first and foremost that people know the truth about Christmas. This was not when Yeshua was born! It was however the date that the wise men arrived to see Him. 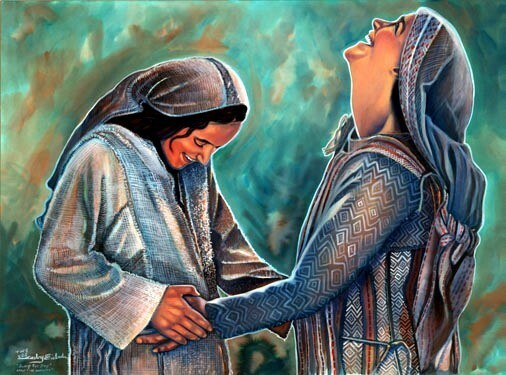 At this time Yeshua was a baby, but not new born. The stars told an extraordinary story for a year that year, and the wise men followed their portents or prophetic lead well before Yeshua’s actual “birthday”. (These stars can be viewed and investigated today, praise be to God thanks to modern technology; exactly as they were then) So Christmas (December 25th) was indeed a Celebration of His birth, just not his actual birthday. The Christmas of our modern view that includes Santa Claus is absolutely not founded by the God of the Universe, Yeshua’s Father. Anything to do with it has been meshed together and much has been lost in its meaning. Saint Nicholas would likely turn over in his grave if he knew what people have turned his acts of charity into. His desire was to give at “Christmas time” to those God had placed on his heart to give to. He would likely decline any approval of being turned into a “grandpa-like savior” with bags of toys for “good” little girls and boys. Not to mention reindeer and elves. These are meant to take away from the simplicity of the focus of celebration. Added to give it a “more entertaining” value. As if the promised Son and Savior is boring!! Would Yeshua Himself celebrate Christmas if He walked the earth as human today? Not likely, at least not the way most do. Yeshua likely grew up celebrating Hanukkah. It is one of the Jewish Holidays that goes way back. But to be clear it is the only holiday that God did not command to be celebrated. At least Biblically speaking. At least as far as we know. This is because the time period in which the origin of the holiday takes place between Malachi and Matthew or “old and new” testaments. He did indeed celebrate this holiday, and its not a far stretch to know why. 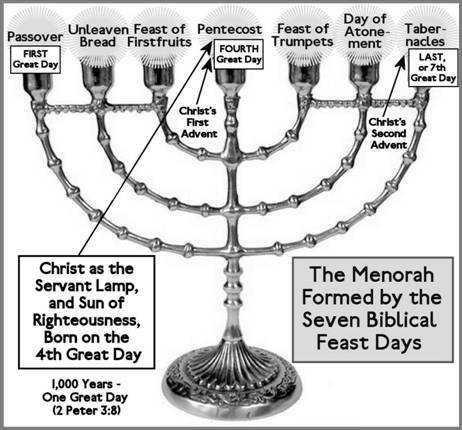 As the Light of the World that gave the oil (Holy Spirit) to His church at a critical time in its history…we are the Menorah of Adonai. The above link does a beautiful job explaining this in more detail. It’s worth the time to “study to show thyself and test the Spirit” in search of Truth. Is it a sin to celebrate Christmas? No. But the question is what about Christmas do we celebrate? To celebrate in the Santa Claus tradition and weave Jesus into it is double minded and misleading and causes confusion. Based on this…the desire of Adonai should seem clear. There are issues and clarity must be brought to bare on this celebration. All God’s festivals were intended for His glory…not man’s…not any man’s. As for Hanukkah…it sure doesn’t seem to be an issue with Adonai. He sent His Son into a culture and people who celebrated this feast. Must be a reason. One worth investigating if one would desire to know Adonai. The whole of God’s Word is the story of God’s work, His people and His Promises all of which culminate in Yeshua. All the directions lead to Him. Its a safe thing to say Hanukkah finds its roots in God’s glory! As does the truthful view of Christmas. Its not a sin not to celebrate Hanukkah. Its not a sin to celebrate the truth of Christmas. Most struggles find their roots in “people pleasing”. A wanting to “fit in” especially with our children. Yet all of history has been about God separating a people for Himself. Those who celebrate only what He instructed or gives Him glory. And a not conforming to the world that distorts what He intended. It takes wisdom and discernment, and a firm stand for Adonai against much of what the world around us conforms to – to “fit in” or not stand out as weird or overly “religious” or a thousand other things that one who stands for the One True God could be called; adding nothing to or taking nothing away from just what He has done, does, and will do. Yeshua was born during the Feast of Tabernacles (Sukkot). And those Jews and Gentiles that celebrate this feast celebrate His birth at this time as the fulfillment of what this feast was commanded by God to celebrate in the first place! Jews who had never even seen Him celebrated His birth before He was born by celebrating the feast God instructed them for so long! All of Creation held its breath waiting for Him! It does so again!! One final promise yet to be fulfilled…His return! Christmas is the confirmation that we don’t hope for, stand out and stand firm in vain!! I encourage all to check out (in the website above) all the feast and their links to God’s unfolding plan culminating in Yeshua. His death in Passover and Resurrection in Pentecost…so so much of God’s intention lays in knowing how Yeshua fulfills every aspect of God’s instruction and communication to His people throughout History. May the Grace and Peace of Yeshua and Spirit of Truth lead and guide us through these holidays… teaching, leading and illuminating the Light of the World, Yeshua the Messiah…long awaited promised Lamb. May He come soon!! ~Yeshua was not born in a shed like structure. ~He was born in a lambing cave. One of the caves David likely hid in from Saul. ~Bethlehem was the place all the lambs for sacrifice were bred (set apart as holy) at the time of His birth. He literally was the last perfect sacrificial Lamb to come out of Bethlehem! ~ The root of Jesse…was David’s father…who lived in Bethlehem where David was born and first was a shepherd. The list goes on! As I said…the more one learns of the truth of Yeshua…one can never see it as boring! God is amazing…so vast and thorough its hard to keep up! !